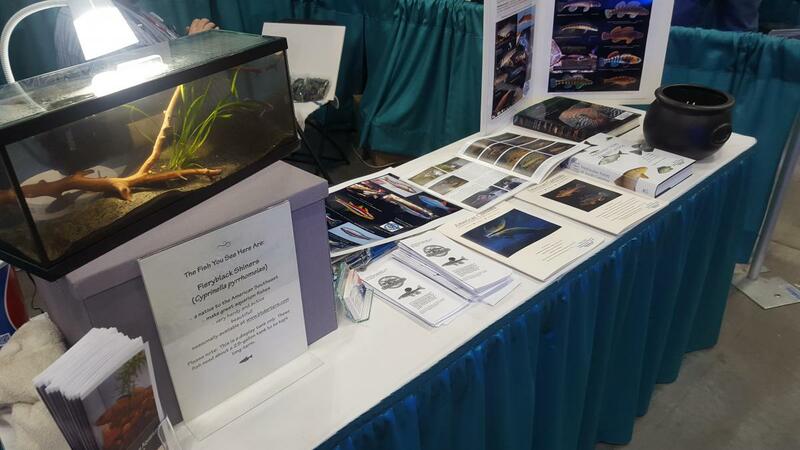 NANFA will once again have a booth at the Aquatic Experience Chicago - November 6 - 8 at the Schaumburg Convention Center. Check the website http://aquaticexperience.org/ and come out and see us. This is a great event with lots to see and do. I wish I was close, looks like a cool event. Make us proud Mike! Looks like they have some exciting kid stuff this year, alligator touch tank, shark & starfish touch tank, octopus feeding. 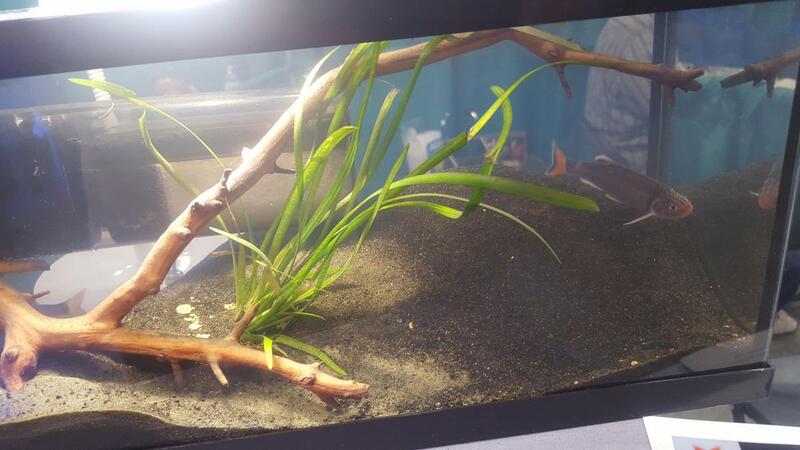 Also tons of aquariums, and aquarium supplies. Fabulous. Great to have a presence at events like this. Especially huge high-visibility gatherings of this nature. 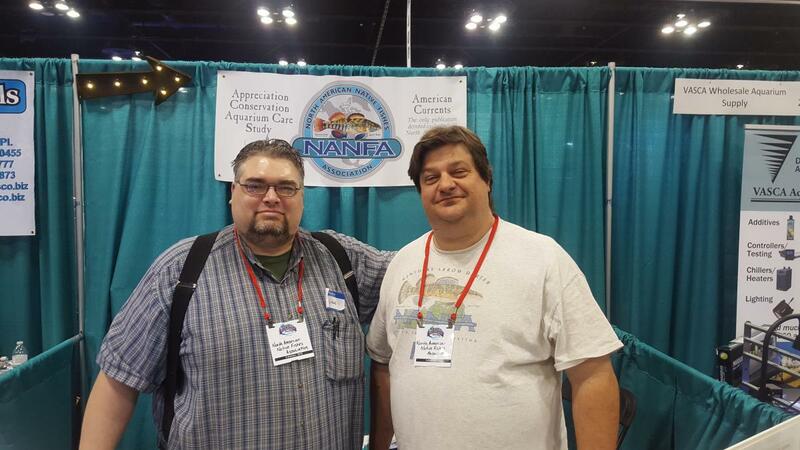 If you're in the area, put on your NANFA shirt, go over and spend a few hours helping Mike represent. 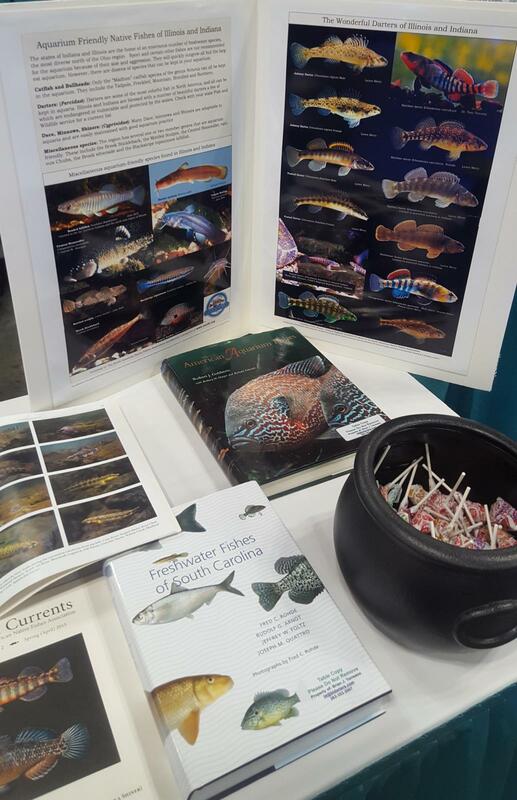 NANFA table at Everything Aquatics, Brian brought some nice Fireyblack Shiners. We missed including Phil Nixon in this photo, but his help was greatly appreciated. Well done Gentlemen (Mike Berg, Brian Torreano, and Phil Nixon)! An excellent example of our Regional Reps at work. You pretty much covered all the bases with just the set up. 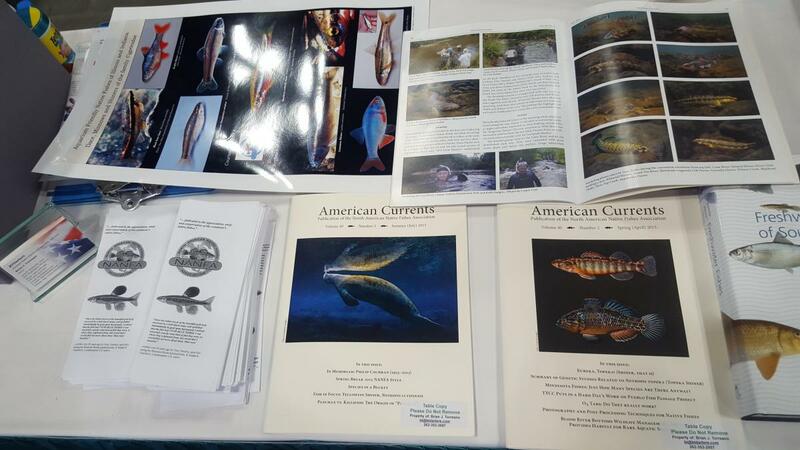 I see the NANFA Logo, American Currents, NANFA membership brochure, pictures of people in the water, underwater photography and aquariums. Thanks for your work managing this huge outreach project. Dang, that Fireyblack is NICE!!!! How'd you get him to stay colored up under those conditions? That looks great, guys. Nice set up!